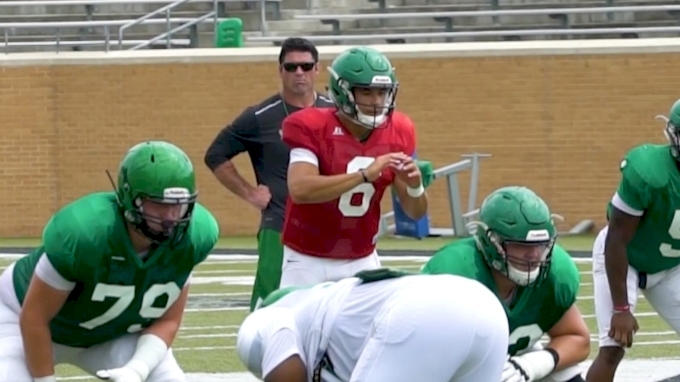 North Texas head coach Seth Littrell announced on Tuesday that sophomore Mason Fine will, in fact, be the starting quarterback for the Mean Green's season opener at home against Lamar on Saturday. 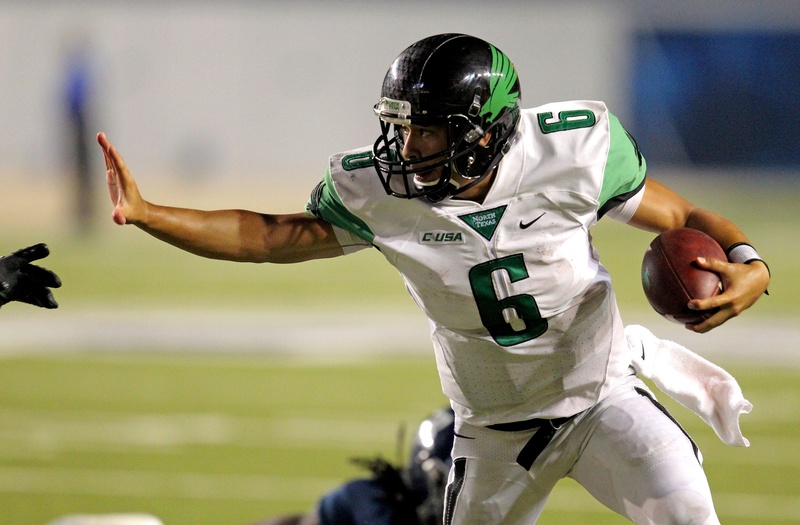 A year ago, Fine -- then a true freshman -- entered in place of highly touted Alabama graduate transfer Alec Morris during a season-opening loss to SMU and never looked back, starting the next nine games for North Texas before a shoulder injury suffered against Western Kentucky ended Fine's season. Along the way, Fine completed 155 of 261 passes for 1,572 yards and six touchdowns -- along with a pair of rushing touchdowns -- en route to a spot on the Conference USA All-Freshman team. But after an offseason of rehabbing his shoulder, nothing was guaranteed for 2017. The 5-foot-11 Locust Grove (OK) High School product was forced to go toe-to-toe with junior Quinn Shanbour during both spring and fall camps in a competition that lingered longer than many expected. Fine had to again prove that he has what it takes. Fine is modest and unassuming -- both in stature and demeanor. But he’s also wide-eyed and self-assured. He speaks with an excitability that you’d expect from an underdog, but there’s animosity in there, too. His words are delivered from the top of his chest and then deep in his gut, often in the same sentence. 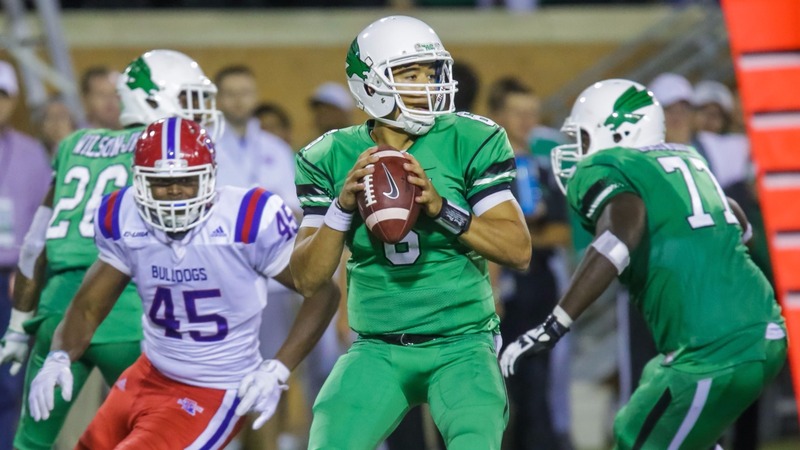 In essence, the Mean Green’s starting quarterback exhibits appreciation for where he is today, but he hasn’t forgotten what it felt like to be the small-town kid that nobody wanted. As the field general for Matt Hennesy’s Locust Grove Pirates, Fine lit up the 3A football fields across northeastern Oklahoma. He was 37-3 in three years as the starter and owns Oklahoma high school career records for passing yards (13,081) and touchdown passes (166). He is also the only two-time Oklahoma Gatorade Player of the Year and was named a MaxPreps Small Schools All-American. All of that was good for two stars and zero FBS offers. Fine is just an inch shy of the magic 6-foot mark. He’s relatively diminutive, sure, but he isn’t frail. He threw for 71 touchdowns as a junior. Locust Grove put up basketball scores with him behind center. Still, Fine says the only offers he had at the end of his senior season were from FCS Austin Peay and local Division II schools. Then-Texas A&M quarterback Kyler Murray unwittingly served as a point of contention for Fine, as well. Murray, listed at 5-foot-10, 180 pounds as a high school senior at Allen (Texas) High School, was not impeded by his lack of size. Murray was a blue-chip prospect, ranked No. 1 among dual threat quarterbacks and as high as No. 34 overall. Still, Fine struggled mightily to find believers. In January of last year, just weeks ahead of National Signing Day, the most prolific passer in Oklahoma high school history was intent on simply walking on at Oklahoma State. But, behind the scenes, Hennesy was lobbying newly hired North Texas head coach Seth Littrell -- a longtime friend -- on Fine’s behalf. On Jan. 25, just days before he could officially sign a letter of intent, Fine committed to North Texas -- the only Division I school to offer him a scholarship. The No. 6 on Fine’s jersey is literally bouncing through a two-minute drill as he leads the first-team offense toward the end zone with equal parts efficiency and enthusiasm. Fall camp is winding down and, still, the incumbent starter has yet to be named QB1 for a game that’s less than a month away. For those of us looking on, however, the official announcement appears to be more of a technicality than a mystery. This is obviously Fine’s team. Two weeks later, Littrell will say publicly what is being strongly implied during and after this otherwise innocuous August practice: Mason Fine is the guy. Fine is not alone in that belief, but, by now, he knows the drill. “This season is just another opportunity to prove people wrong,” he says.